Floor plan design software helps you draw the plan of your house and arrange furniture on it. With floor plan design software, floor plan design has been never easier. Floor plan design software enables you to draw fabulous floor plans without any special training. It can be used to envision your remodeling and decorating projects. 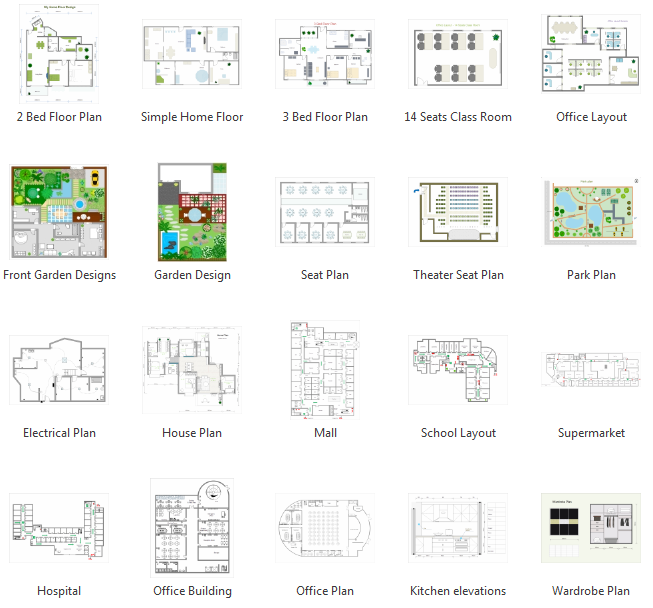 You will have a lot of fun in creating foor plan using floor plan design software. Whether you're moving into a new house, planning a wedding or reorganizing your living room, floor plan design tool is a perfect choice for you. Before you start planning a new home or working on a home improvement project, perfect the floor plan and preview any home plan design idea with floor plan design software. Discover why Edraw is the easiest software to design floor plan: Try it FREE. 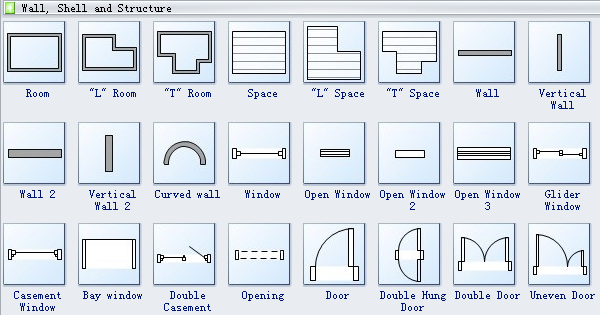 Edraw Max has a lot of standard floor plan design symbols, which makes it easy to arrange walls, windows, doors, furniture, cabinets, appliances and more. With floor plan design software you can recreate your home, garden, office or even building in just a few clicks and furnish your plans with a huge library of objects. Floor plan design software offers you many special building core shapes, north, direction, arrow, air-conditioned location, solid walls, step, ornamental stair, scissor staircase, winding staircase, left spiral staircase, right spiral, corner landing, stair landing, escalator, etc. 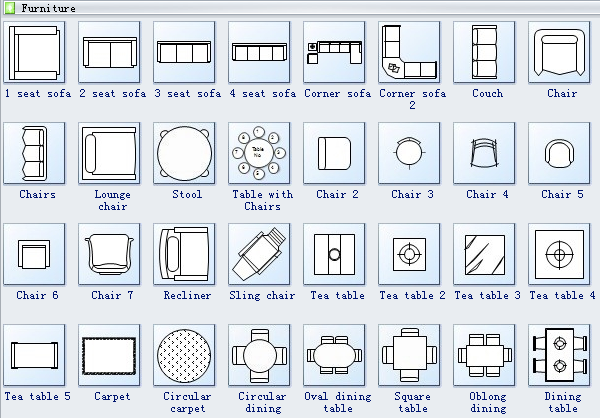 Moreover, check out the best easy floor planning tool and free download floor plan designer here. 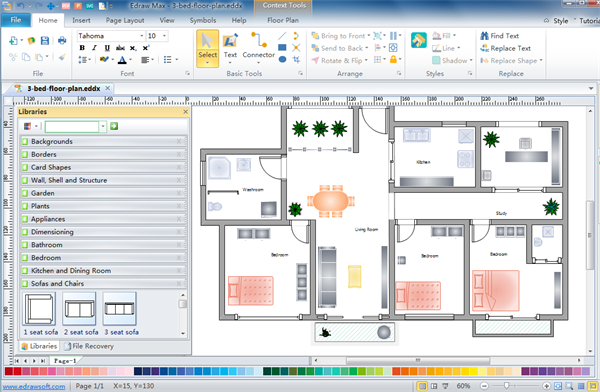 Many floor plan design examples are available in floor plan design software. You can customize these examples your own, which is quite easy and convenient. Download free floor plan templates. Check out floor plan drawing right here.